– Unit 2 – EE-500V-3 – Three-Phase Voltage Generator up to 500V controlled from Unit 1 via RS485. The Phantom Load is able to generate three-phase voltages and currents with unprecedented stability and measurement accuracy. The amplitude and phase-shift of each current and voltage is individually adjustable. All types of electricity meters – mechanical or electronic, for active, reactive or apparent energy, single-phase or three-phase – can be tested with the Energy Standard. The following meter tests can be carried out with the EE Test System: Error Test, Register Test, No Load Test and Starting Current Test. Full analysis of the customer load can also be performed, if current clamps have been ordered. All test results ( maximum 3 Test Plans, 5 Manual Measurements and Customer Load Analysis) can be saved in one file. 100 saved files can be viewed on the LCD display or transferred to a PC via USB port. Flexible structure – the EE-120A-3S unit can be used alone for on-site tests and measurements, generating current synchronized with the available service voltage. Two test modes – Manual mode and Test Plan mode. The Test Plan mode performs automatically meter error tests. 100 Test Plans can be predefined by the Operator, each one with 12 test points. The EE Test System can be used as a Phantom Load only. 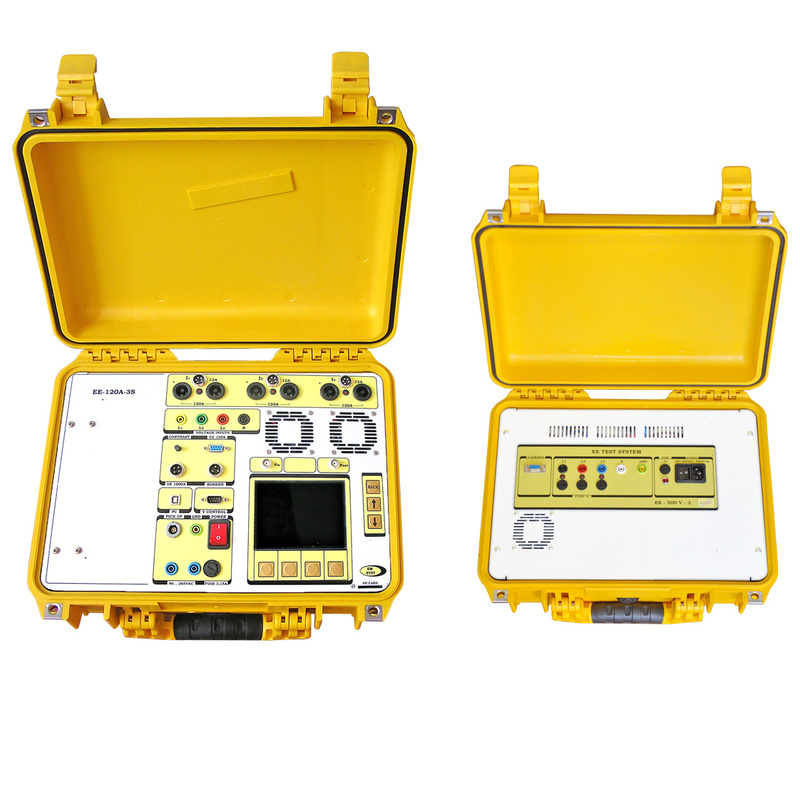 The unique stability and measurement accuracy make the phantom load suitable for testing not only electricity meters, but also other measuring devices in a substation like amp-meters, volt-meters, power and power factor meters. The EE Test System can be controlled from a PC, using EE Software, operating under Windows XP and later versions. In this case, additional functions are available, such as generation of harmonics to the 31st. Output Power (per phase): 70 VA max. 36 VA max.